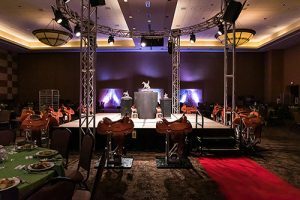 For many years, the decision of the NRHA World Champion was made in the AMERICANA Bronze Trophy, and this event is still a must for those who are fighting for the World Championship. 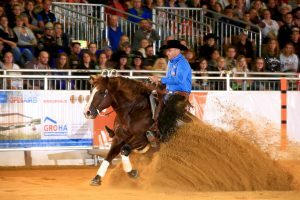 In 2017, NRHA 2 Million Dollar Rider Bernard Fonck claimed the Open Trophy aboard What A Wave – those who watched his spectacular performance, which earned a 231, during the evening show will certainly not forget it. And the two finished the year as NRHA Open World Champion. In 2019, the AMERICANA Bronze Trophy Open will offer a purse of €40,000-added – plus a €7,000-added Intermediate Open. 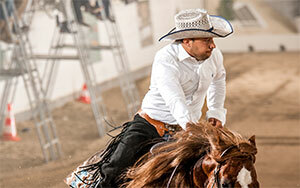 The final will be during the Friady evening show – another reason why top reiners love AMERICANA. Where else in Europe can you ride in front of 5,000 spectators? This year, there will also be a €10,000-added Non Pro and a €7,000-added Intermediate Non Pro plus a €5,000-added Maturity Open and a €4,000-added Maturity Non Pro. Another main attraction of AMERICANA are the cattle classes. There is the European Championship Cutting Open with a purse of €12,000-added plus the €6,000-added Non Pro European Championship. In 2017, it was Italian cutter Martina Annovazzi who claimed the Open title aboard Highbrow Time scoring a 154 in the final. Another fine discipline which is seldom seen at a show in Germany is the Reined Cow Horse – a discipline which has always been inseparable from AMERICANA. Here, the first ERCHA European Reined Cow Horse Futurity was organized. And ever since, the ERCHA Futurity has been part of AMERICANA every two years. This year, the Futurity offers a purse of €17,000-added. Also, there will be a €9,000-added ERCHA Nations Cup (team and individual ranking). AMERICANA also offers top class sport in Trail and Ranch Riding with a €5,000-added European Championship Trail and a €5,000-added European Championship Ranch Riding Open. Also, there will be a €3,000-added Ranch Riding Non Pro. The European Championship Ranch Riding will be held in a go-round plus a final which will be part of the Friday evening show. For riders, AMERICANA will start on September 1. The competition schedule will be online starting mid-March. In May, entry forms will be available on www.americana.de. Tickets for the AMERICANA evening shows and events are available on www.americana.de or by calling -49 (0)1806 – 999 000. Tickets for the evening shows should be ordered well in advance – they will sell out quickly! Tickets for the Friday and the Saturday evening shows include entry during the day as well. Tickets for Wednesday and Thursday night are available either with or without day entry. Also, there is a whole show pass which includes all evening shows plus the events on Wednesday and Thursday and entry to the fair during all days. 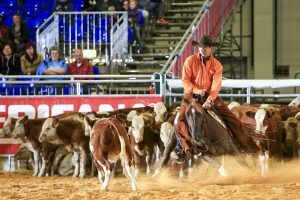 As Europe’s premier western event offering a considerable purse, AMERICANA has long been the meeting point of top riders of all disciplines. Enjoy the unique atmosphere of this prestigious event, and compete to earn your share of the winnings this year! 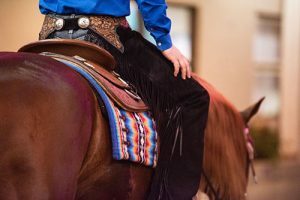 In consideration of members’ needs for making travel plans, the NRHA Board of Directors finalized its decision regarding 2019 NRHA Futurity & Adequan North American Affiliate Championship Show dates. 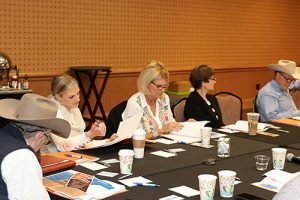 The board held a discussion at the 2019 NRHA Convention & Awards earlier this month and reconvened on February 25 to address the topic again. Members also discussed this topic widely at the NRHA Convention expressing a variety of opinions, concerns, and benefits. With a majority in favor, the NRHA Board of Directors voted to approve moving the 2019 NRHA Futurity dates back to November 28-December 7. The Aged Events Committee will be considering the detailed show schedule in the near future with their recommendation to go to the board at their April meeting. More details will be shared on nrhafuturity.com as they become available. For Immediate Release – February 25, 2018 – Oklahoma City, Oklahoma – The fourth annual National Reining Horse Association (NRHA) Convention & Awards Banquet concluded February 9. After four days of education, constructive discussions, and networking, the event was deemed a success. The convention started with meetings of the NRHA Executive Committee and NRHA Board of Directors, which set a productive precedent for the remainder of the week. 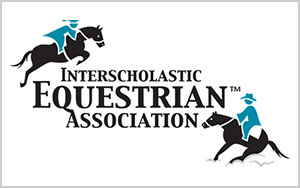 The NRHA Board of Directors conducted their first review of the proposed rule changes for 2020, received an update on the 2019 European Summit held earlier this year, and enjoyed a presentation about the Interscholastic Equestrian Association (IEA). NRHA Directors approved new deadlines for both Hall of Fame nominations, now May 31, and elections, more about which can be found here. Approval of a change in the Affiliate Regional Championship (ARC) open class which will base qualification on horse/owner combination and designation rather than horse/rider combination and designation. Addition of Prime Time Rookie to the ARC and North American Affiliate Championship (NAAC) class list. Alterations to the European Nomination Program conditions were endorsed, changing the monies allocated in the European Futurity and Derby to a 40/30/20/10 (L4/L3/L2/L1) ratio starting with 2020 events. Sanctioning of 2019 Election procedures and deadlines, with the following positions up for election: director-at-large on the executive committee and director for the South Central, North Central, Northeast, Northwest, and East Central regions. The first affiliate nomination deadline is July 1. Authorization of updates to the Youth Incentive Award Program to allow correspondence with the current NRHA Youth age splits of 14-18, 13 & Under, and 10 & Under. The Annual General Membership (AGM) meeting on Friday morning allowed NRHA President Mike Hancock, Commissioner Gary Carpenter, and other members of NRHA’s staff to share their outlook for the future in light of 2018’s successes. After watching Hancock receive the president’s gavel from NRHA Past President Mike Deer, attendees received updates on the Reining Horse Foundation (RHF), NRHA financials, and the strategic plan. 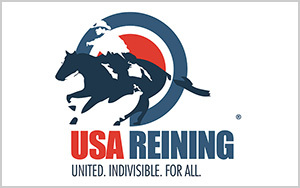 Friday and Saturday also included many committee meetings which facilitated productive discussions and contribution of ideas to continue improving the sport of reining. Well-attended Eligibility and Aged Events Committee meetings, both held on Friday, included constructive dialogue regarding a recent eligibility survey, eligibility levels, and the 2019 NRHA Futurity dates. Proposed rule changes were discussed in each committee meeting separately. Each committee can send recommendations to the board of directors who will review and vote on these rule changes at their next meeting in April. 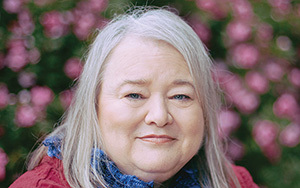 On Saturday morning, NRHA Professionals attended the Professionals Summit where guest speaker Jamie Samples of Yellow Barn Media outlined some ways reining trainers and other equine professionals can boost their marketing efforts. The professionals also discussed new ways to raise money for the RHF Crisis Fund and give back to the reining community. Saturday’s schedule also included the NRHA Judges Summit where committee members reviewed Futurity judge statistics, watched several runs from the 2018 Futurity, and boosted their education by judging one run together. Saturday night concluded with a star-studded celebration as the 2018 NRHA world champions and other award recipients were honored for their achievements during the 2018 season. The 2018 NRHA Youth Leadership Summit took place in conjunction with the NRHA Convention & Awards Banquet. 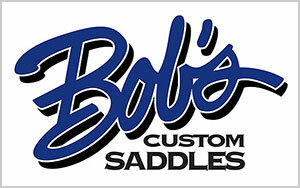 Kelly Barnes served as the facilitator, where he challenged youth members to grow as leaders in the reining industry. Summit attendees, including all five 2019 NRHyA Officers and several other members, participated in three sessions of workshops where they gained skills to help them grow in not just reining, but outside of horses in all aspects of life. 2020 Rule Change Proposals can be found under the Members Only section on NRHA.com. Current NRHA members are encouraged to leave comments regarding the proposals. The commenting section will be open through April 1. 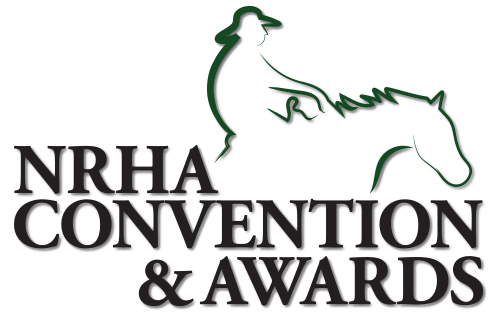 2019 NRHA Convention & Awards Banquet Photos Available! Continue the celebration—you deserve it! Pictures from the 2019 NRHA Convention & Awards Banquet are now available for purchase online. Click below to view and select your favorites. Use the coupon code “celebrate” at check out when you purchase before April 19th to get 19% off.